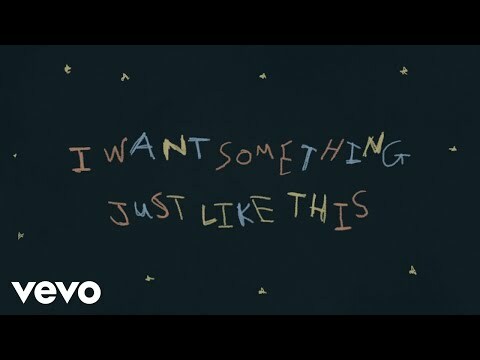 "Something Just Like This" is a song by American DJ duo The Chainsmokers and British band Coldplay. The lyric video for the song was released on February 22, 2017. In September 2016, The Chainsmokers shared two short clips of an upcoming song featuring vocals from Chris Martin. On February 22, 2017, Spotify prematurely posted a banner ad at the top of the site’s home page featuring the graphic below with a Listen Now button.